This is a prime lens manufactured by Canon and the model was launched 1991. The lens belongs to the category telephoto prime lenses, a telephoto lens where you do not have the possibility to zoom in and out. Aside from this lens is also classed as a Tilt Shift lens. By being a Tilt Shift lens means that you with this lens can tilt and shift the perspective and control the area in the image you want to be sharp. Read more and see sample images in the article below. It's been a long time since the lens and this model first was launched. Before you buy an older (and perhaps used and pre owned) lens a recommendation is to check with the manufacturer and their service centers whether there still are spare parts available. Hopefully spare parts wont be an issue but imagine accidently damaging the lens and finding out afterwards that no spare parts exists. We therefore recommend that you, to be sure, check this prior to purchasing. If you buy a new lens, in a store, you always have your warranty to fall back on, regardless of the age of the lens but if you are interested in buying a pre owned and used lens without warranty this may be even more important to look up because you might otherwise be left without both warranty and spare parts. The possibility of using auto focus (AF) does not exist, since this lens only supports manual focusing. The lens has a focal length of 90 mm. Depending on which camera the lens is used, the experienced and perceived focal length will be different. Please visit the list of compatible cameras below, it will provide the equivalent focal length you get on each camera. The lens brightness and aperture value is f/2,8. This aperture value indicates that the lens is very bright. This will make it so much easier shooting in darker environments where you do not want or can use flash lighting, for example in churches or at different sports venues. The lens lacks image stabilization, which otherwise os good for avoiding the blur that can occur when using slow shutter speeds. Since the lens is bright, with good aperture value, the lack of image stabilization might not be that big of a deal, although a image stabilizer is always an advantage to have. The lens has a traditional filter thread on the front and its measuring 58 mm which also the filter you will use must have. If you use for example an UV filter can be a cheap insurance against scratches and dust. If you buy this lens it will come with a lens hood, whose model name is "ES-65 II". 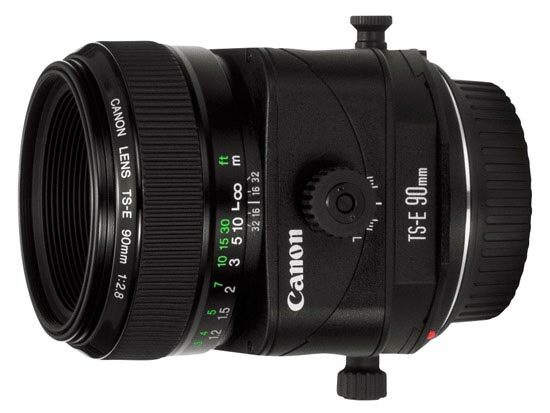 Text from Canon: "This is the world’s first 35mm-format telephoto lens with tilt and shift movements. Gaussian optics give high-quality delineation and true background blur. The lens is suited for a variety of subjects, from products to portraits. The fastest wide angle L lens in its class with excellent definition. The first EF lens uses a ground and polished aspheriThis is the world´s first 35mm-format lens with tilt and shift movements. Gaussian optics give high-quality delineation and true background blur. The lens is suited for a variety of subjects, from products to portraits."